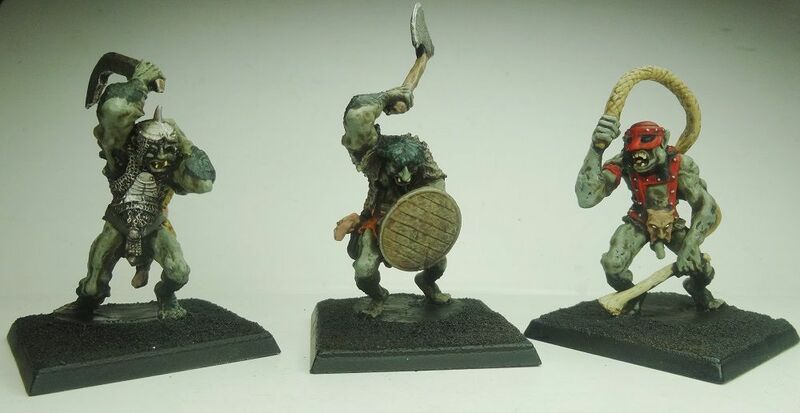 Painted some Undead minis (and a halfling)... just the Orc Archers left for this month, now! 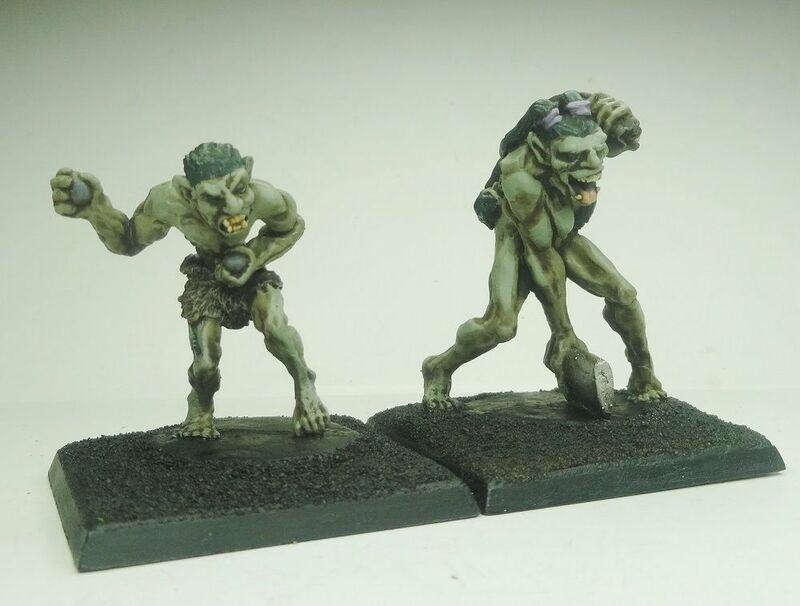 Shadespyre ... no go on the orcs with great weapons and trolls , unless I missed them getting completed, took them off your list. So ... it's a new year, and lot's of painting to do! I've got so many projects that need work, might as well start with something. On tap for January, 1 small MDF building, and review how to go with Late Achaemenid Persians. The mounted crossbowmen are off my list, for the moment. 023 ... 10 sea elf archers and 5 seekers (scouts). Padre ... interior of cathedral. Gankom ... 2 space marines, 3 stormcasts and two nighthaunt guys. Shadespyre ... 4 Undead, 1 halfling, 10 Orc Archers. 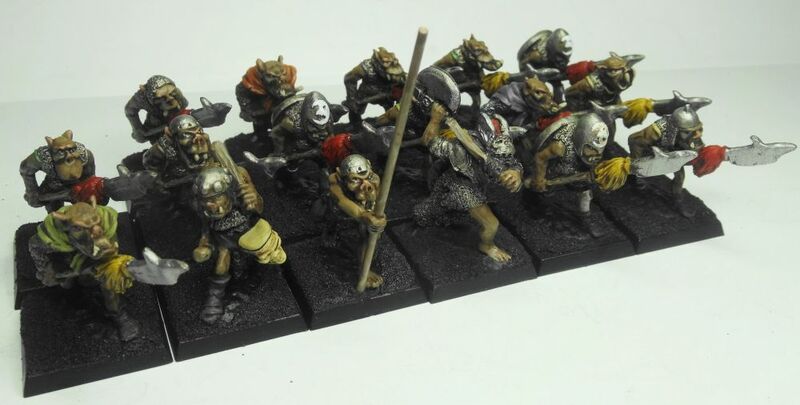 Irishzero ... finish 12 teutogen guards or 12 greatswords, some dwarfs/halflings for spearmen unit, find ogre with 2 handed sword. JAK ... a Unit, a Leader, a Space Marine Hero. Konrad ... 5 more gryphknights, 50 halberdiers, and 2 rocket batteries. Borderguy ... 12 Dryands, 8 Hearth Guard, finish 1 CFM mdf building. GP .. 1 small MDF building, review how to go with Late Achaemenid Persians. Got an initial coat of paint on all four sides of building, and timber framing completed for two sides and the roof framing. Progress! 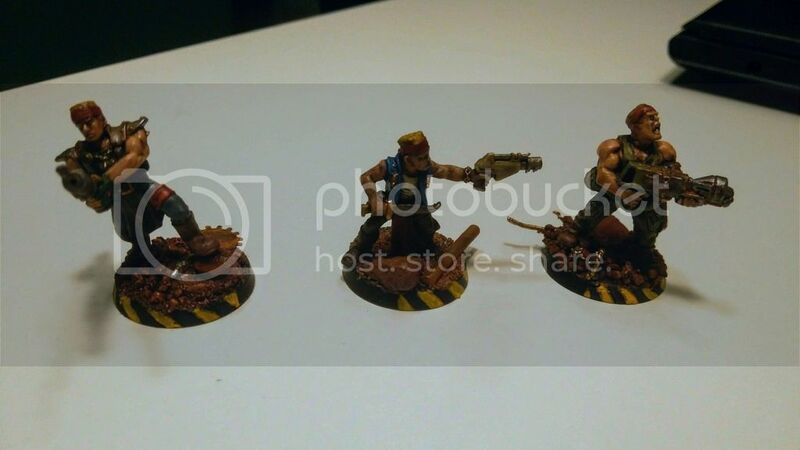 Painting goal for January and next month is to finish the forge world mammoth and its marauder crew. It really is huge. The seated lord and banners have to wait until I can undercoat them, probably in spring. Heinrich ... forge world mammoth and marauder crew. Shadespyre, wow, that ghost, it's quite a feat to manage to make her look that translucent, with just different shades of blue. Those undead are great, Shadey. The ghost is indeed really well painted, but I love the skellie on the end kind of leering over his shield! Finished the timber framing for the last two sides of the small mdf building. It'll be time to construct soon, and put the finishing touches on the painting too. Already completed those, did I not post them? 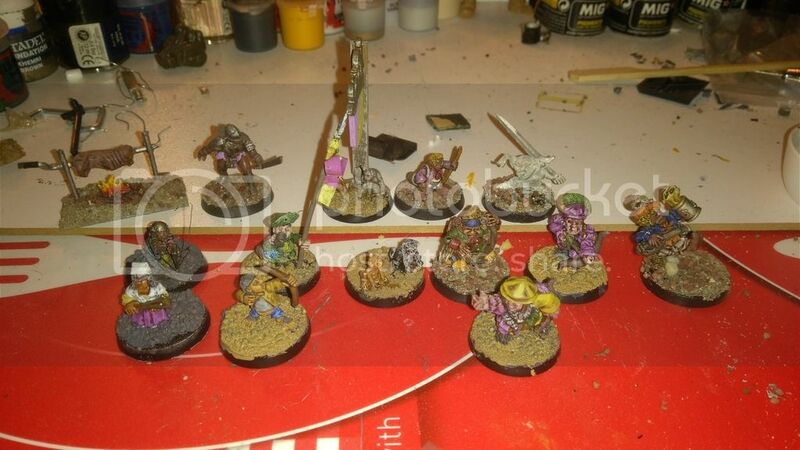 Shadespyre ... 16 Orcs w Great Weapons, 4 Undead, 1 Halfling, 5 Trolls, 10 Orc Archers. 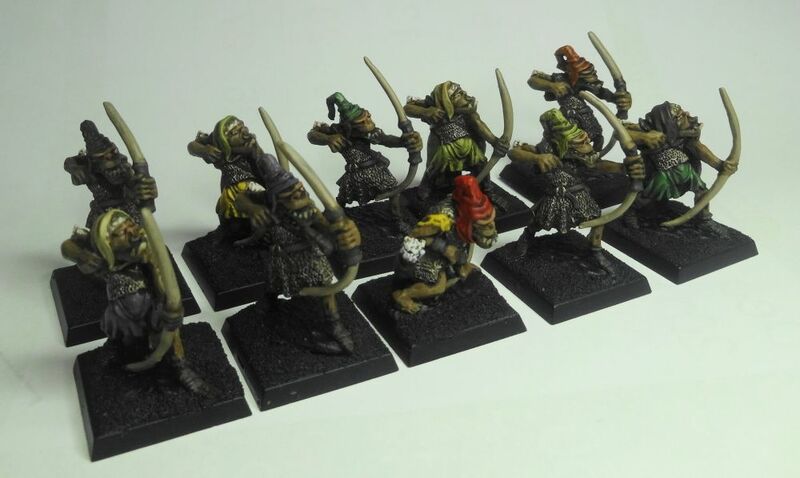 Aaaaand 10 more Orc Archers completed! I dunno what comes next...! I have some of those archers. They bring back so many memories of gaming of old. Meanwhile, my cathedral 'film-set' interior is coming on alright, slowed only by the need to produce some new figures for a council of war story to precede the next mahoosive campaign battle. I was given descriptions by the Portomaggioran player, which I will quote here. I gave two options - modifying an existing figure or using a newly made one. I didn't like Marcus, however (who I had scraped some hair off to make him balding) and asked the player if he could be completely bald so that I could use this figure (my favourite of all these). 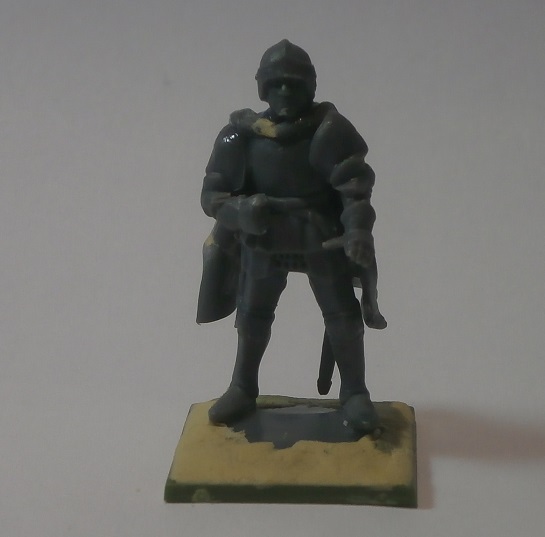 I also needed a dismounted, chatting version of young Lord Silvano of Pavona. 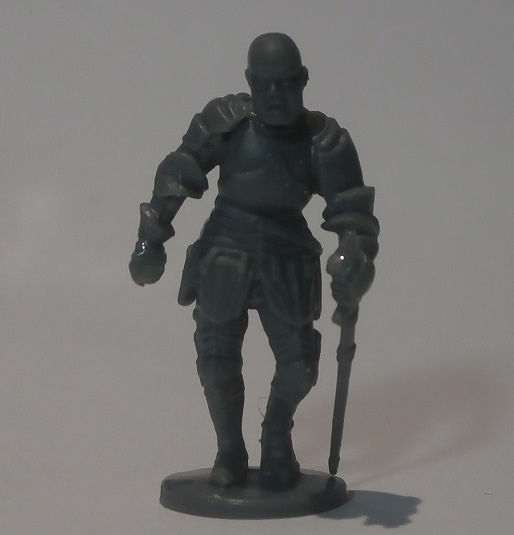 'General' Marsilio has been left with hardly any command by his employer, all foot soldiers, which is why he has dismounted and chosen to use the massive axe in battle as a suitably hefty infantry weapon. The 'captain' is actually just a unit champion, but he had obviously been a soldier for sometime, probably in Empire employ, and was happy to put the money into looking the part. 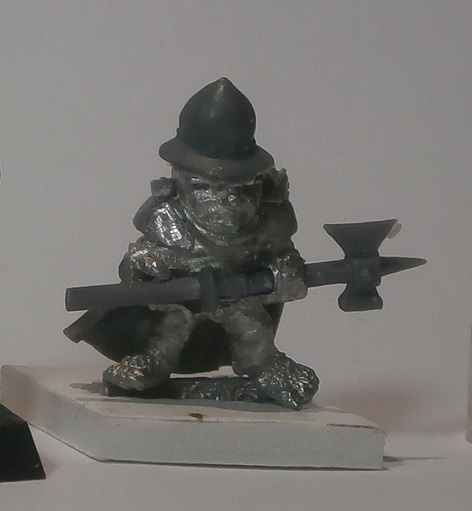 The halfling featured in an earlier story mounted on a pony and armoured like a Bretonnian knight. Here you can see he has decided if he is to serve in a besieging force (an army of 6000 pts with no horse soldiers - the horse have been sent away for strategic reasons) then he might as well go the whole hog and equip himself like a foot soldier. Perhaps confusingly, the Portomaggioran player and the Pavonan player both have Empire armies in blue and white. I tried therefore to make a slightly different shade of blue for Lord Silvano. Also, Verezzo's colours are blue and yellow, which when combined with the yellow and red of the actual city of Portomaggiore (the blue and white is Lord Alessio Falconi's family livery), leads to even more potential confusion. Ah well. I'll post the cathedral interiors soon, although I might put the link to the story with the pics in when it is done. I washed the sides of the small mdf building this weekend. 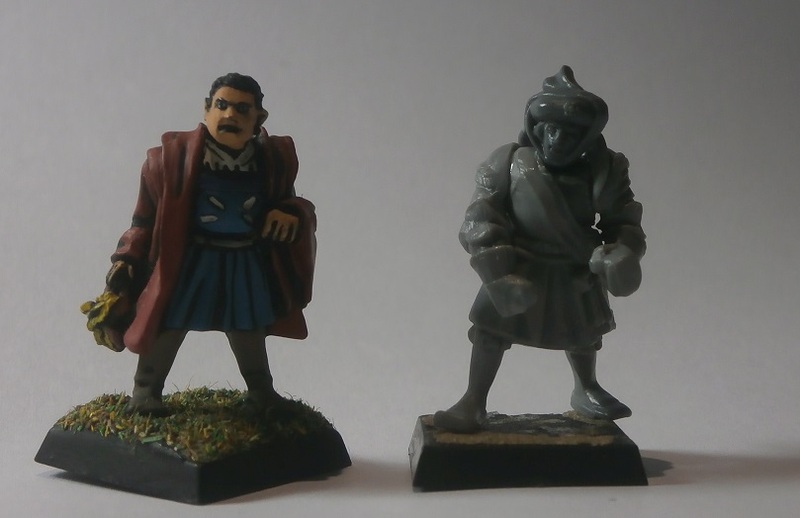 And started a side project, soap and watered some 40 Pulp gaming minis for priming next. I've been determining what to do next with my Late Persian army for Impetus too, although still deciding. Looks like Padre has been creating more minis! I’ve completed my targets for this month, although I did cheat a little. I couldn’t enter the store’s Legion of Legend last year but had started some units which I had since finished. I’ve entered the Daughters of Om as my leader and first unit as a start for this year’s competition. I’ve also completed my Space Marine Hero who is waiting to be taken to the store at the weekend. 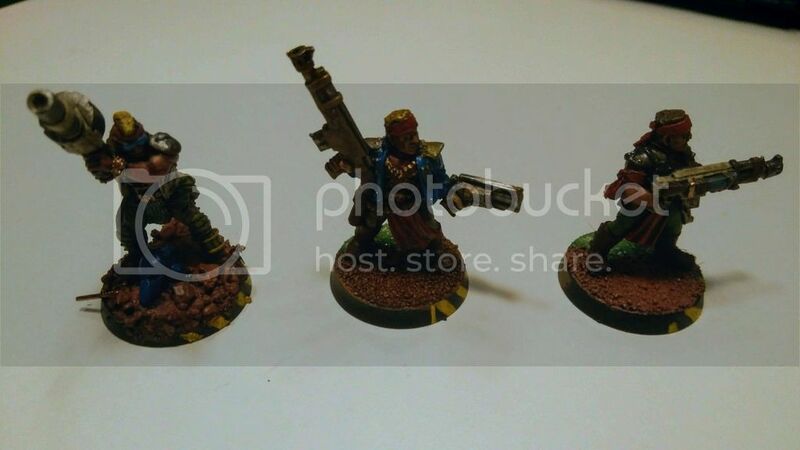 As an addition my friend has received three of his Space Marines. During the month I have been working on my Legion entries but didn’t want to have to rush them, hence the cop-out entries. 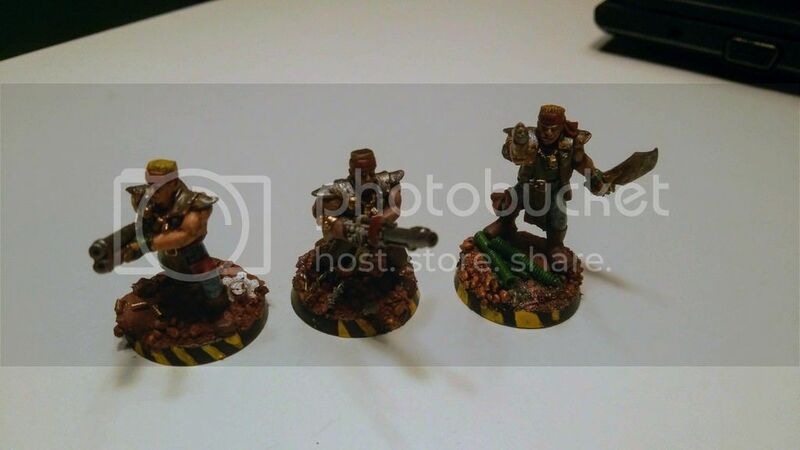 I have three units part painted but only need to enter two of them in February. I still have 12 Space Marines in various stages of build and paint work. 2 units to be completed and entered on 9th and 23rd Feb.
Any Marine completed will be a bonus. February's goal will, once again, coincide with my monthly OWAC entry: 5 scouts (for real this time) and a chariot. I will post pictures tomorrow evening. Also, I hope I have found a achievable goal for February. Add 5 bog zombies to that... Going to do those so I can try to get a game or two of Rangers of Shadow Deep in. 'Bog zombies'? 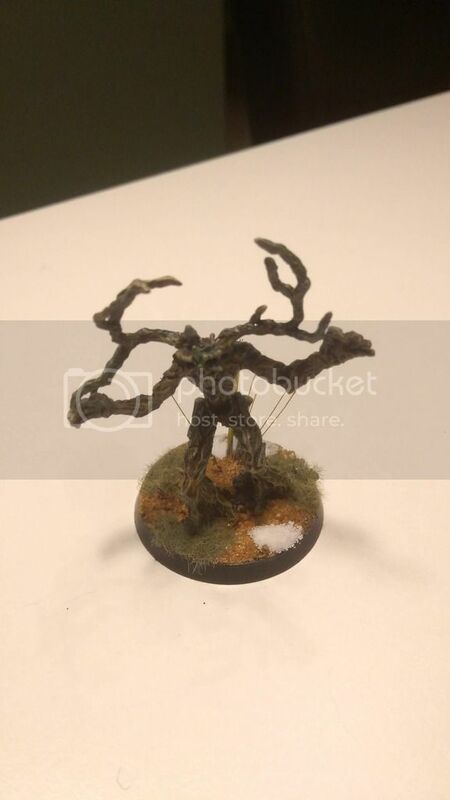 Are they the Black Tree Design miniatures? I finished two space marines, and got halfway done a bunch of other stuff. So I completed two marines at least! My goal for February is to finish 3 stormcast and paint two nighthaunt, plus two beastmen. 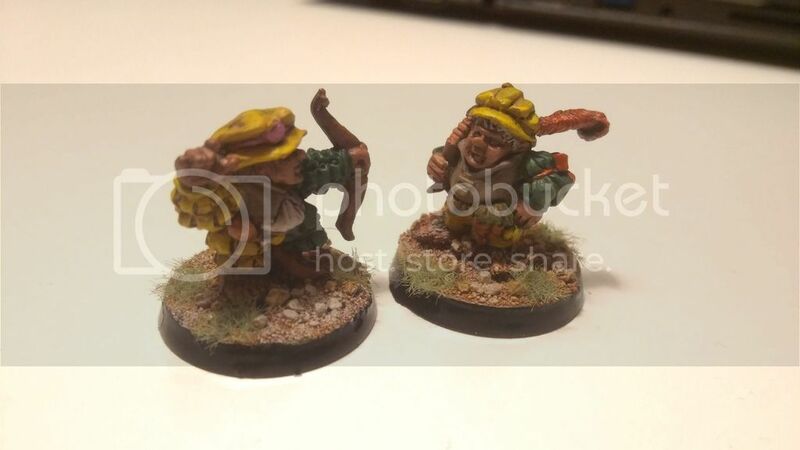 The last of my Halfling warband. The pictures aren't showing on my pc.